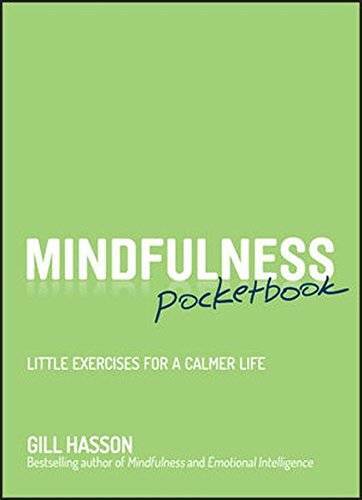 Gill Hasson, "Mindfulness Pocketbook: Little Exercises for a Calmer Life"
Gill Hasson, author of the bestselling "Mindfulness" is back and this time you can fit her advice in your pocket! This little book is packed with over 100 quick exercises, each dealing with a different situation, to help you get calm, collected, and balanced. So whenever you start to feel the stress mounting, reach for your "Mindfulness Pocketbook," find the relevant exercise and instantly make life better! So if you feel like life is moving too fast and you're struggling to keep up with constant demands and commitments, don't let anxiety and worry get the better of you – integrate these mindfulness exercises, practices, and reflections into your daily life and get in control and feel more confident, calm, and present. By progressing through the pocketbook, you will develop mindful ways of thinking and doing that will benefit a wide range of situations in your personal, social, and work life. Experts increasingly recognise that developing mindfulness skills is an effective way to improve performance, reduce stress, enhance emotional intelligence, increase life satisfaction, and develop leadership skills. A mindful person consciously brings awareness to the here-and-now with openness, interest, and receptiveness. 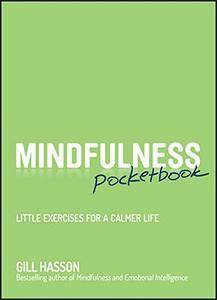 "Mindfulness Pocketbook" is the take-with-you guide to receptive, constructive thinking.